協定校である昌原大学校（韓国）の学生ら１４名、引率教職員４名が「WINTER SCHOOL」プログラムの一環で本学に来校しました。「WINTER SCHOOL」とは、昌原大学校メカトロニクス学部の「グローバル人材育成プログラム」の一環として、学部３・４年を対象に行っている昌原大学校のプログラムとのことです。 14 students, 4 professors and staffs visited Kytutech for WINTER SCHOOL. 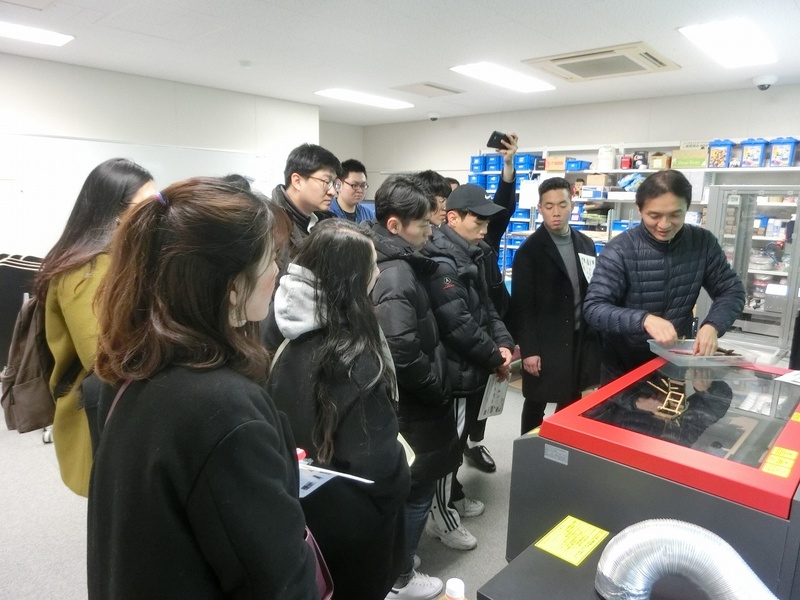 Changwon National University carries WINTER SCHOOL as a part of Global Human Resources Development Project for junior and senior students at College of Mechatronics. _ 平成３０年１月２２日（月）～１月２５日（木）の３泊４日の期間の中、１月２３日（火）に、学生らは飯塚キャンパスにて本学の大学紹介を受け、施設・研究室の見学等を行いました。その後の日程で、太宰府天満宮やTOTO工場、トヨタ自動車工場の見学も行いました。 In 4days program from January 22th to January 25, 2018, students joined introduction of Kyutech and visited facilities and laboratories at Iizuka campus on January 23. 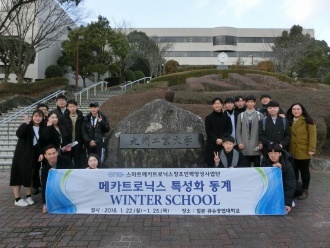 Also students visited factory of TOTO, factory of Toyota and Dazaifu temple during WINTER SCHOOL. _ 本プログラムの受け入れにより、大学間の交流を深める良い機会となりました。 It was a good opportunity to deepen partnership of each university.